This time I will shortly give away some HDI PCB Design Suggestions. 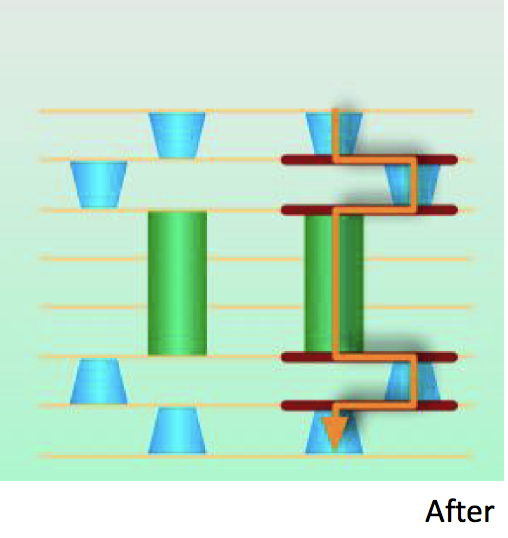 When using mVias, buried, and through- hole vias in your design, please consider if you can replace the through vias with the combination of mVias and buried vias that already are been used in your design. The through hole vias will normally have a quite small diameter such as 0.15-0.2mm, which usually causes aspect ratio to be very high. Typical above 8 : 1. In some cases and with some manufacturers, this will lead to longer time spent in the copper plating process which again will lead to thicker copper on outerlayers. This extra copperplating in combination with thin and narrow traces that shall be etch, is not the best combination. If these through hole vias are also filled and overplated (IPC 4761 Class VII), then it will worsen the situation as even more copper will be plated on outer layers. Better space for layout usage on outer layers due to a small mVia pad size. 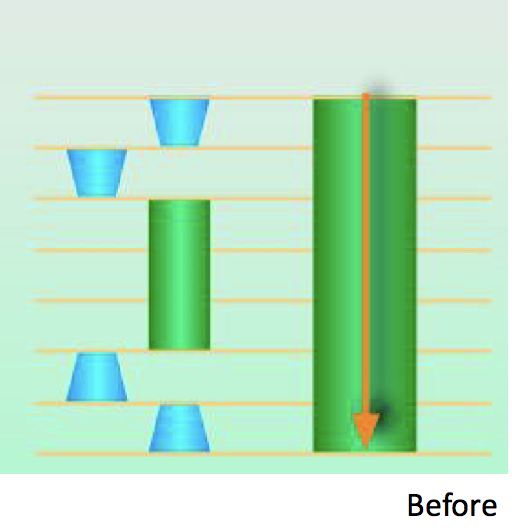 Shorten process time – better lead time. Better surface Cu control and better control with the other through holes (component holes) cu plating. Thanks to WUS for illustrations. CircuitData – a free invitation to discuss and create a PCB specification... Definitely more loyal than royal!